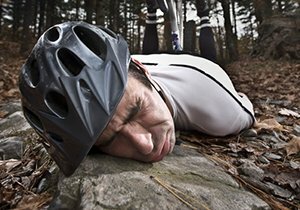 How Can I Treat the Most Common Bicycle Injuries At Home? 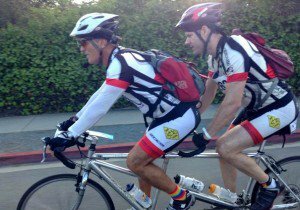 As an avid cyclist himself, San Diego bicycle accident attorney Fred Dudek understands both the joys of cycling and the pain that a bike accident injury can cause a cyclist. Therefore, something he learned early on is how to treat common bicycle injuries at home. While treating common bicycle injuries at home is a skill that cyclists should know, at-home treatment is not meant as a replacement for regular doctor visits, seeking medical attention following a bike accident or having a physician examine a recurring bicycle injury. 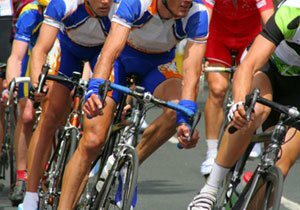 At-home bike injury treatment is just an option cyclists can take advantage of between doctor visits for treating minor injuries and nagging aches and pains that are the result of cycling on a regular basis. 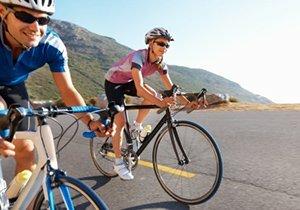 How Do I Treat Common Bicycle Injuries at Home? Cuts – For deep cuts, you should seek medical attention. However, shallow cuts can be treated at home. Clean the wound using a washcloth and soap and water. After you have cleaned the cut, apply antiseptic and cover it with an adhesive bandage. Corneal Abrasion – This involves debris, such as insects or gravel, getting in your eye and scratching your cornea. To treat minor corneal abrasions at home, avoid rubbing your eye but do try blinking it out. If blinking does not loosen the debris, flush the debris out with water or a saline solution. Once the debris has been removed, minor abrasions should heal in a few days. However, you cannot wear contact lenses until the abrasion is healed. If the corneal abrasion turns out to be severe, you should see a doctor, who may prescribe antibiotic eye drops to treat your injury. Scrapes – To treat a minor abrasion with a small amount of skin loss at home, clean the area with soap and water. Once the wound is clean, apply antiseptic and antibiotic ointment. Saddle Sores – This occurs when your saddle, shorts and sweat rub against your rear end to cause a minor skin irritation. If allowed to progress, a mild saddle sore can worsen, including inflamed hair follicles, infected boils and abscesses. To treat saddle sores at home, stop biking for a few days, keep the area clean and dry and apply antibiotic or diaper-rash ointments to the sores. If the area becomes infected, seek immediate medical attention. 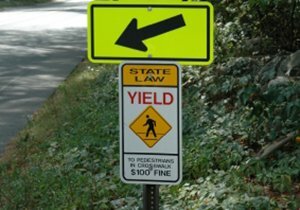 Road Rash – For road rash that is anything more than a minor abrasion with an area of skin loss that is only a little wider than a scrape, you should see a doctor. Use soap and water, antiseptic, anesthetic, antibiotic ointment and a padded, nonstick bandage to treat road rash at home. Gash – This is a cut that is a bit larger and deeper than normal. To treat a gash, clean with soap and water, an irrigation syringe and antiseptic. Following that, apply antibiotic ointment and cover with a nonstick pad, gauze and a compression bandage. Ingrown Hair – This occurs when an improperly waxed or freshly shaven hair twists and grows back into your skin. It is especially a problem for cyclists with curly hair. To treat it, apply a wet, warm compress to the area where the ingrown hair is located. The compress will soften the skin, which will enable the hair to grow out. After applying the compress, use a needle or tweezers to gently pull the hair free and apply hydrocortisone or witch hazel to lessen inflammation. Flap Cuts – This is an angled cut that results in a flap of loose skin hanging from the injured area. To treat this injury, clean with soap and water, an irrigation syringe and antiseptic, apply antibiotic ointment and cover with a butterfly bandage. Black Mold – This involves stachybotrys chartarum, which is commonly known as black mold, forming in your water bottle. Black mold can lead to headaches, chronic fatigue and more. To get rid of black mold, clean your water bottle by using a wire brush to loosen the mold and then soaking the bottle for 10 minutes in a 1:10 bleach solution. Puncture – Larger punctures should not be treated at home, as they require professional medical attention. To treat small punctures at home, clean with soap and water, an irrigation syringe and antiseptic. After it is clean, cover the puncture with gauze and a compression bandage or a butterfly bandage. Chondromalacia – This is a repetitive motion bike injury that involves irritation of knee cartilage that occurs as a result of pedaling. At-home treatment for chondromalacia includes limiting your cycling, leg stretches, ice and anti-inflammatory medications. 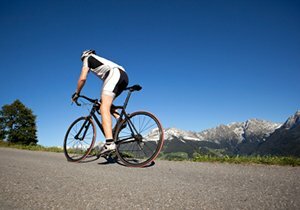 San Diego bicycle accident attorney Frederick M. Dudek rides his bicycle frequently, including commuting to his law office, and strives to assist individuals in getting fair compensation for injuries sustained in bicycle accidents.